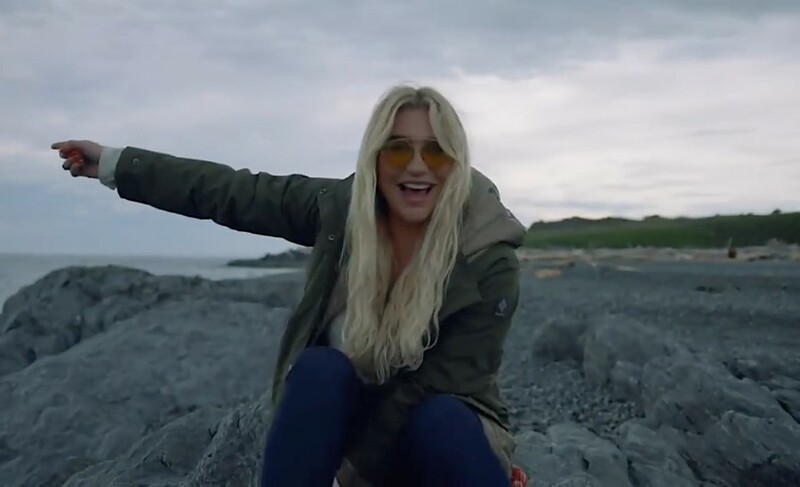 Kesha has officially announced her latest (and possibly biggest) gig and it's going to be the colourful adventure of a lifetime. On June 14, Kesha confirmed via her Instagram and on YouTube that from February 17-22 2019, she is going on a cruise with some of her friends, including performers Betty Who, Superfruit, Wrabel and Big Freedia, as well as Queer Eye's Jonathan Van Ness, RuPaul’s Drag Race stars Bob the Drag Queen, Thorgy Thor and Detox. This magical cruise, called the “Weird & Wonderful Rainbow Ride”, will reportedly set sail out of Tampa, Florida and head to Nassau, Bahamas before returning back to the United States. According to NME, the cruise ship will be able to fit 2,200 people comfortably and, in addition to the enticing musical stylings of Kesha, they can enjoy a “casino, spa, swimming pool, hot tubs” and events like a Drag Race-style one titled “Lip Sync for Your Lifeboat”, hosted by Kesha. The website for the cruise also includes some fun teases, with more details coming soon. Those teases include the promise of more special guests, in addition to the celebs and musical acts already announced, as well as the promise of theme nights. The website also reveals the pricing will not be cheap for this unique trip, although it does look like the organisers are doing everything possible to make it affordable, including offering payment plans for fans looking to secure a ticket without spending a jaw-dropping amount right away. According to the pricing chart currently available to potential ticket-buyers, pricing begins at around £1,591 to book for one person in one of the cheapest accommodations. Pricing will vary from there, depending on how many people will be in your party and where on the ship you'd like to stay. You can sign up to join the pre-sale queue now, on the website. The pre-sale will run from June 27 until early July before tickets go on sale to the public.